Trailers come in all shapes and sizes, as do the insurance policies via our site. Whether the use is commercial or personal, via a panel of insurers we may be able to match you with a great policy at a competitive price. 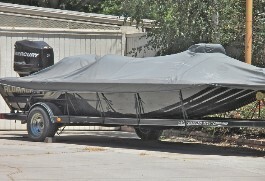 Insurance for your trailer is vital and is there to protect you when needed. Policies through our site offer various types of cover including accidental damage, fire and theft. It could either be a stand alone policy for just your trailer or an add-on to an existing insurance policy of yours, including car and home insurance. A few further options to consider to include within your insurance policy is European cover and public liability insurance, which in some cases comes as standard, but a great consideration for those using their trailer for commercial purposes. A wide range of trailers can be covered via our panel of insurers, from small trailers used for general purposes, through too boat, horse, vehicle trailers and even commercial haulage. Simply complete the form on our site to tailor any requirements to meet your specific needs, and Moneymaxim could put you in contact with up to five insurers to quote you for your trailer insurance. Any Queries? Call us! We have people to help on hand with any questions you may have! Just call us on 0800 520 0699 option 3. We'll be happy to help.